Located in Peabody, MA, ABC Dental’s services include full range specialized orthodontics for adolescents and teens. We emphasize prevention and work with families and their children to set them up for healthy oral habits that will follow them throughout life. 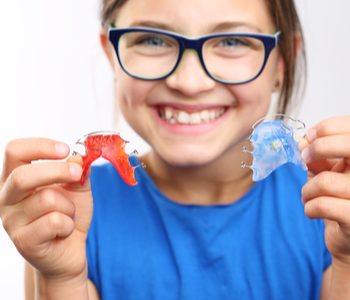 By getting an orthodontic consultation at an early age, you can prevent more severe conditions than if you waited longer. Upon the first orthodontic consultation, if your child indicates that treatment is necessary, action should be taken as soon as possible. This treatment is also known as Phase 1 treatments and allow dentists to correct current issues and help guide future oral growth and development to ensure a healthy smile for the rest of their lifetime. Fill out the contact form on this pages for more information or give us a call at (978) 532-2227 to set up an appointment today!